The Blue India restaurant on Crawley High Street serves a wide selection of Indian food in a modern, stylish setting. The restaurant offers a take-away service. 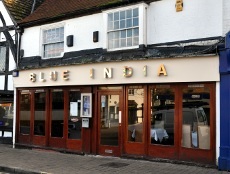 There is another Blue India restaurant on the Broadway in Haywards Heath (phone: 01444 410020).